Members of the State Board of Education on Thursday approved a new policy limiting out-of-state membership and officers on charter school boards. 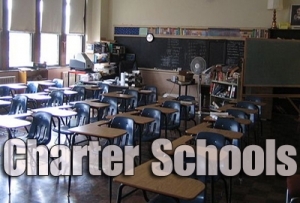 The new policy will require that a majority of the board members and at least 50 percent of board officers for charter schools be North Carolina residents. The board’s unanimous vote comes after N.C. Policy Watch reported in February that some state education leaders believed an earlier draft of the policy, which said nothing of board officers, did not go far enough. “These are taxpayer funds. I believe they should be safeguarded,” board Chairman Bill Cobey told Policy Watch. Although state staff do not keep data on the number of out-of-state leaders in North Carolina’s growing roster of charters, multiple officials acknowledged that some of the state’s largest charter schools operate with board members and officers who are not living in North Carolina. Critics questioned how out-of-state residents could lead education in a community in which they did not live. However, the policy approved this week may be a disappointment to some who argued that the state should bar any out-of-state officers for North Carolina charters. “Think about how local school boards operate,” Yevonne Brannon, of the nonprofit advocacy group Public Schools First N.C. , told Policy Watch. Last year, lawmakers in the N.C. General Assembly approved legislation mandating conflict of interest and nepotism policies for charter school leadership, but the bill left the door open to out-of-state board members and officers.